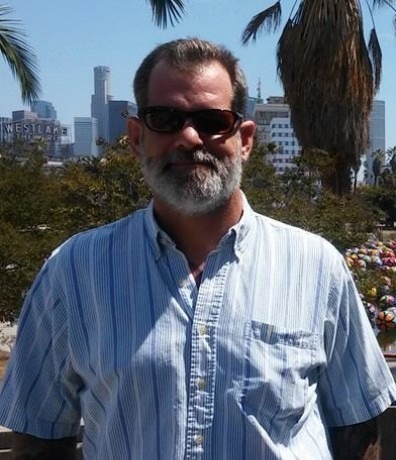 In the midst of the Islamic terrorist attack in San Bernardino, Shannon Johnson shielded a 27-year-old female co-worker, Denise Peraza, with his own body during the shootings; he died, but she lived (Denise was shot once in the back, but survived). This is a true hero — someone who places their life at risk in the face of a clear and present danger. Those who put the label “hero” upon sporting stars, politicians, or homosexuals and transgenders who “come out of the closet”, are abusing the term and demeaning its value; in fact, they are, in effect, insulting real heroes. Denise Peraza said “I believe I am still here today because of this amazing man, this amazing, selfless man who always brought a smile to everyone’s face in the office with his lively stories about his hometown back in Georgia. . . . While I cannot recall every single second that played out that morning, I will always remember his left arm wrapped around me, holding me as close as possible next to him”. Shannon Johnson, we salute you! It should be noted that Shannon Johnson would be alive today, were it not for those people who advocate that the USA take in massive numbers of Third World immigrants, including an unknown, but very significant, number of Muslim fundamentalists, as well as a small number of Muslim terrorists. The nations of the West need more heroes in the fight for our survival. Everyday heroes, like Shannon Johnson, are incredibly important in any society, but even more important now are those people who are brave enough to stand up against the might of the Multiculturalist regimes, and fight for the survival of their race and nation.